Found roughly here … in the Boston North End. 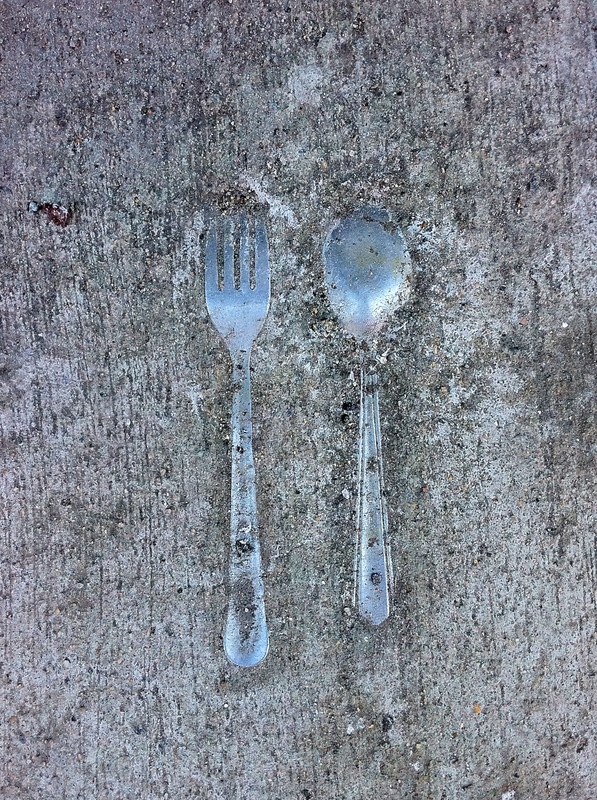 Quietly gather around and, if luck is with us, witness the mating ritual of the wild Four-tined fork and the silver back spoon in their natural habitat…….and with a short gestation period, tune in next week for the miracle of birth of a litter of baby sporks! The National Geographic continues to appreciate your support!